Ooh, sing everybody: "The lights are on, but you're not home..."
We're looking at hair today. 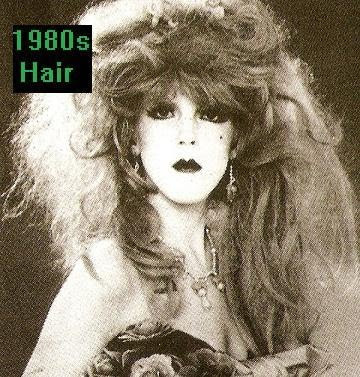 1980s hair. And was there ever a decade that had such glorious barnets? There were fabulous trendy new products - think gel, mousse and wax - and we went wild. And I MEAN wild. "Stu Stu Stu Studio, Studio Studio Line..."
Take a look at our two mid-to-late 1980s lovelies up top... Hazell Dean and Su Pollard eat your hearts out! 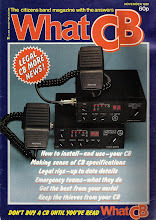 "During the 1980s something BIG happened. 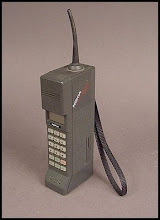 From mobile phones the size of telephone boxes to shoulder pads wide enough to land a Freddie Laker airbus, big was everywhere. Size mattered and hair was no exception. 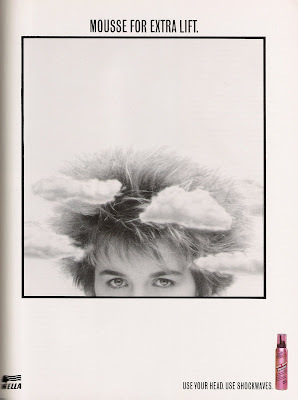 With the aid of gravity-defying hair products like gel, mousse, wax and hairspray, the sky was no longer the limit..."
And OOOHHH!! 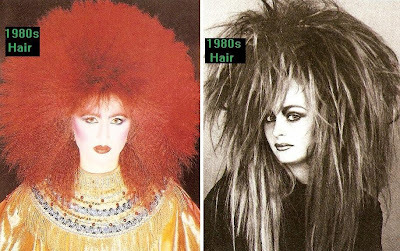 The lady on the left looks a little like a red-headed Spagna ("Call me, call me, baby, baby call me now. Call me, oh, call me, baby, baby, do, do, do it, baby please!") and the lady on the right looks a little like Tina Turner. 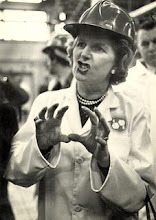 Or somebody who has just had a vat of spaghetti poured over her head. "Turn around, bright eyes!" Very lovely indeed. 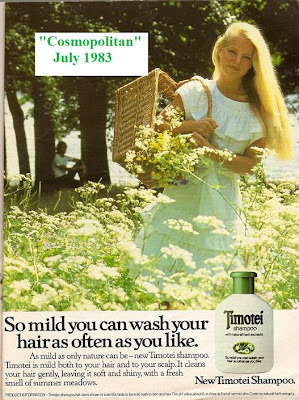 With new shampoos like Timotei arriving, you could wash your hair as often as you liked. Which, with the amount of flaking gel left in my hair the morning after a big night out, was a relief. 1983 - Today's hairstyles need hold and a natural touch. This is a nice look for young, serious-minded '80s gents - very stu... stu... stu... studious and rather Timmy Mallet. Studious AND Timmy Mallet? How can that be possible?!! 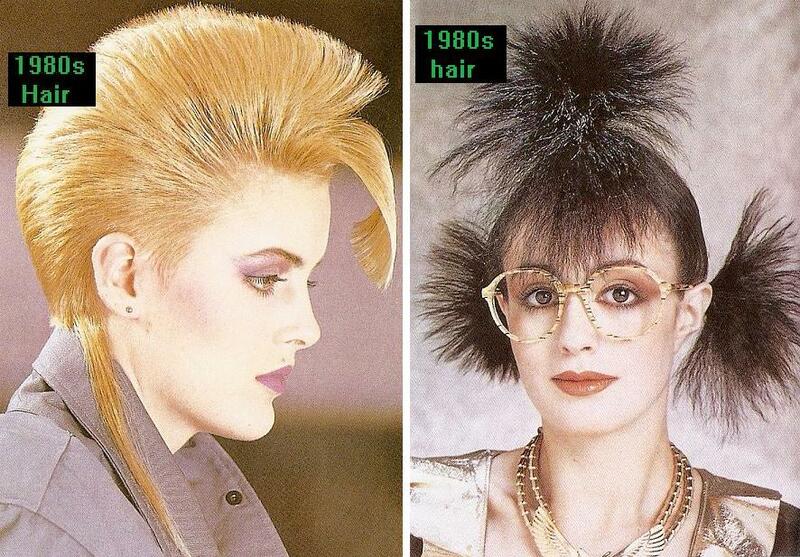 But anything was possible in the '80s. 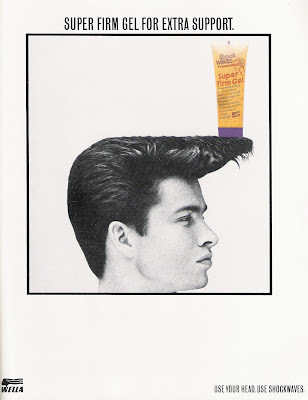 Magazine ad for Shock Waves gel, 1988. Wow! 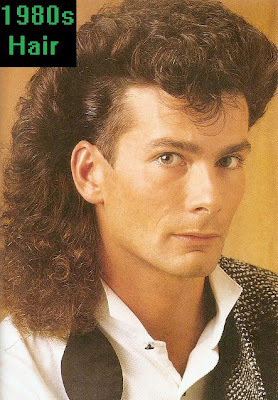 And here's a beautiful, big 1980s mullet. Smart gent. 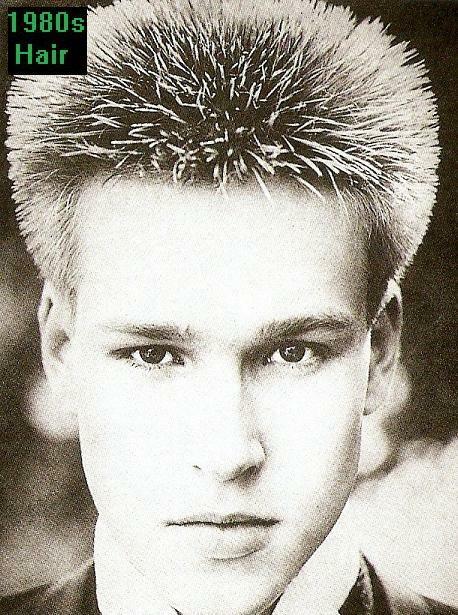 In 1984, I became the first man in my family ever to own a hairdryer. And I was forever tweaking my hair. I had the blonde streaks, I had the bouffant mullet (although we didn't call them mullets in the 1980s, that was a 1990s coinage), I had the hedgehog, I had the flat top... I had everything possible. And for a young working class lad with a step father whose pride and joy was a 1950s DA, which he combed margarine into to keep it in shape, you can imagine just how revolutionary I was. 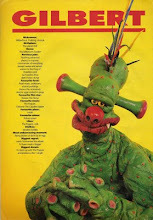 When I was a kid I had a haircut like Terry Wogan's. But in the 1980s I cried "FREEDOM!!" 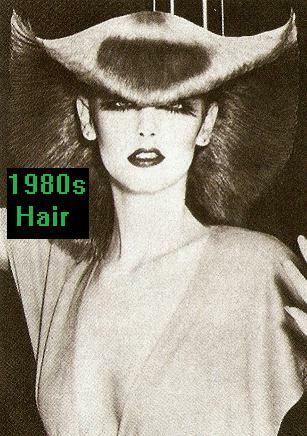 It was a fabulous decade for male fashion and grooming. 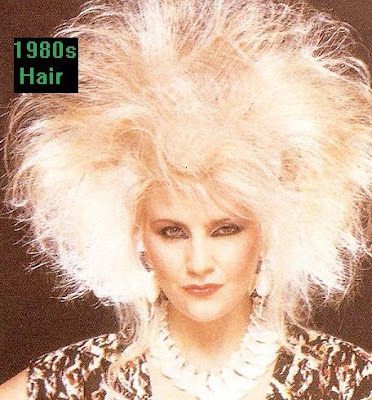 "If I had a photograph of you..." A Flock Of Seagulls meets Toyah. "Who's looking good today? Who's looking good in every way?" 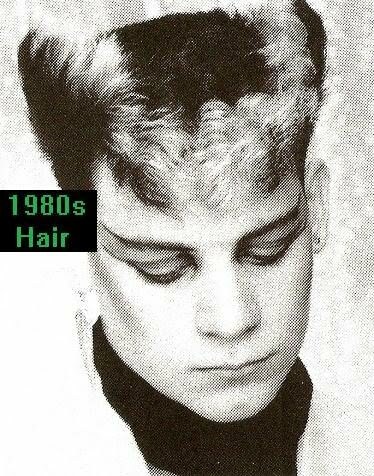 In the 1980s, everyday men got into styling their hair like never before - with hair gel and mousse available, it was time to go mad. 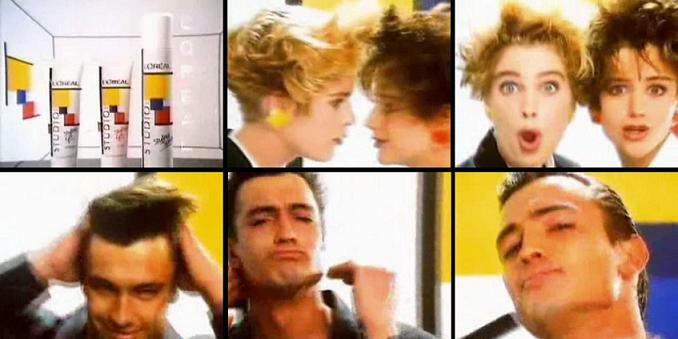 Men took to blonde highlights, and a new mullet emerged - big and bouffant to the max! I've seen footage of tennis star Andre Agassi playing a match in 1989 with a glorious blonde-highlighted mullet-mane of hair. The 1980s mullet could be full at the side or shaved at the sides. It was usually long and flowing at the back. 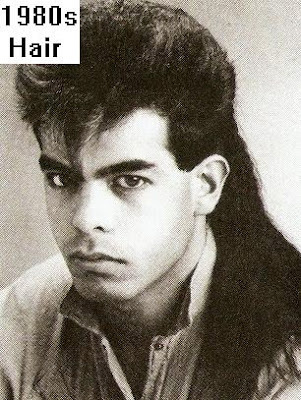 Many 1980s mullets were simply magnificent. 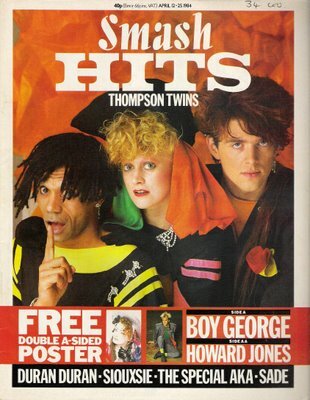 Others, like Limahl's of Kajagoogoo, are probably best forgotten! 1984 - it's the Thompson Twins! 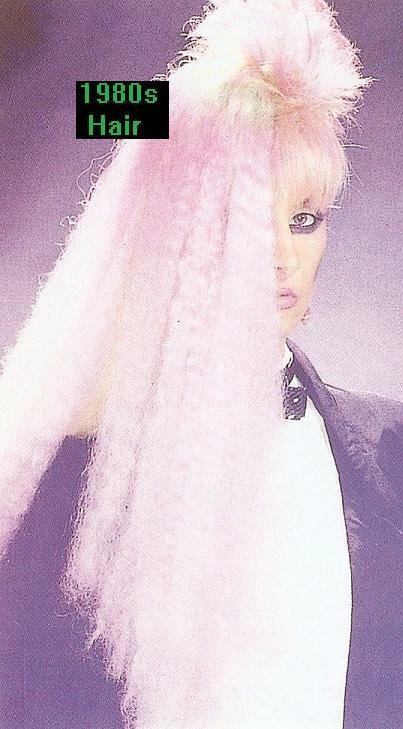 Our hair inspirations often came from pop stars. 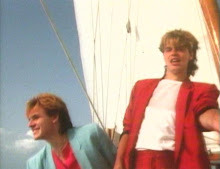 And it's a very fashionable colour scheme by '80s reckonings. The early 1980s: the beginning of the romance between Lady Diana Spencer and Prince Charles in 1980 propelled "Lady Di" into the public eye. She became a major trend setter. 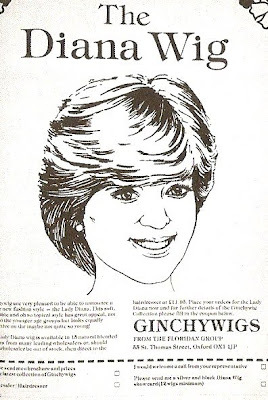 Did YOU have a Diana wig? 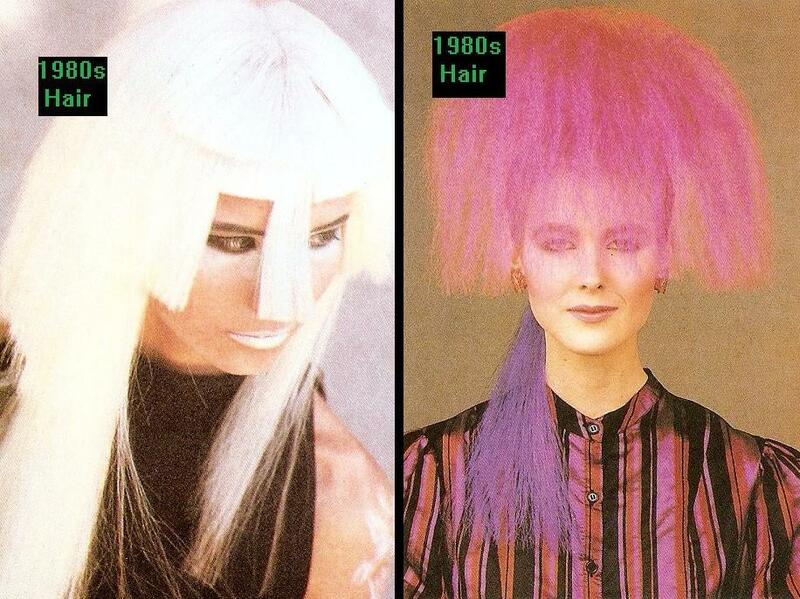 Whew - candy floss on the left and a very nice wedge hairdo on the right. 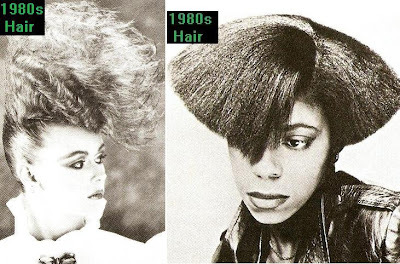 I think the wedge would still be acceptable today - particularly with the huge revival in 1980s fashion that is on the streets. 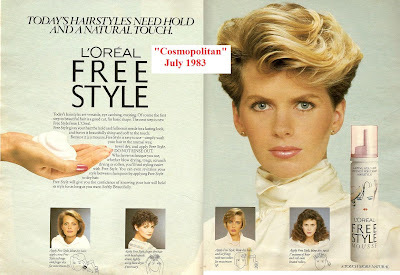 Is it true, as we so often read that 'taches went out of fashion in the 1980s? Personally, I think that's rubbish. 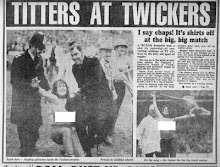 The 1960s made men much hairier (it's incredible to look at the male fashions of the early 1960s and the hippie fashions later in the decade to see how things had changed), and the years following made men gradually less so. And so the 'tache faded slowly. 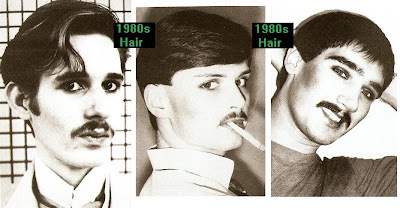 But I remember as late as 1987 experimenting with growing a 'tache - something that, as a young fashion conscious dude, I would never have done had it been considered even remotely naff at that point. So much cobblers is written about fashion. The 'tache was on the wane towards the end of the 1980s, but was still trendy and highly acceptable for most of the decade. Think Magnum. Think Hall and Oates. Think Kevin Webster of Coronation Street. 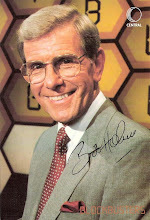 Take a look at '80s telly in general. Working class northern lad Kevin Webster (Michael Le Vell) in the 1980s. Is this lady considering suing her hairdresser? She doesn't look happy at all! Magazine ad for Shock Waves mousse, 1988. Hair was incredibly high maintenance in the '80s! And great fun. I remember when the first hair gels came out: one small step for a man, two for a woman, three for Duran Duran, and one giant leap for mankind. 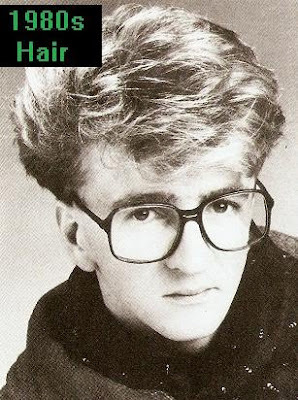 There ought to be a national Commemorative HairGel Holiday, with prizes for the best 80's do. It has my cartoon about big hair. I love it! You know, despite all the fashion disasters (or perhaps BECAUSE of them!) 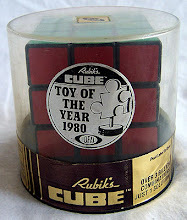 I still feel great happiness when looking back at the 1980s. Neighbours 25th Anniversary Poll - The Results!